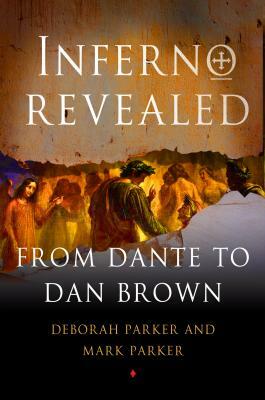 Using Dan Brown's book as a jumping off point, "Inferno Revealed "will provide readers of Brown's "Inferno "with an engaging introduction to Dante and his world. Much like the books on Leonardo that followed the release of the "Da Vinci Code," this book will provide readers with more information about the ever-intriguing Dante. Specifically, "Inferno Revealed" explores how Dante made himself the protagonist of "The Divine Comedy, " something no other epic poet has done, a move for which the ramifications have not yet been fully explored. The mysteries and puzzles that arise from Dante's choice to personalize the epic, along with his affinity for his local surroundings and how that affects his depiction of the places, Church, and politics in the poem are considered--along with what this reveals about Brown's own usage of the work. The authors will focus on and analyze how Dan Brown has repurposed "Inferno" in his newest book--noting what he gets right and what errors are made when he does not. Of course, Dan Brown is not the first author to base his work on Dante. "The Comedy" has elicited many adaptations from major canonical writers such as Milton and Keats to popular adaptations like David Fincher's "Se7en "and Tim Burton's "Beetlejuice--" all of which will be discussed in detail within" Inferno Revealed. Deborah Parker is Professor of Italian and Chair of the Department of Spanish, Italian, and Portuguese at the University of Virginia. She has published a monograph and several articles on Dante, and she is the General Editor of The World of Dante (www.worldofdante.org), an interactive media site created for the study and teaching of Dante's Comedy. She has taught the Comedy for over 25 years and knows the poem intimately. The project has been supported by a number of foundations, including the NEH, Gladys Krieble Delmas Foundation, and Institute for Advanced Technologies in the Humanities.Mark Parker is Professor and Chair of the Department of English at James Madison University. He has published essays on Dante and on Umberto Eco's The Name of the Rose. He has written two books on literary magazines in 19th century Britain, as he has co-authored a book on film in the DVD era.